We have tested window 10 and we are confident that it will work with most CSU systems and softwares. If there is any issues or questions please contact us so we can help you resolve the problem. Windows 10 Is NOT Compatible with CSU Software, Yet. 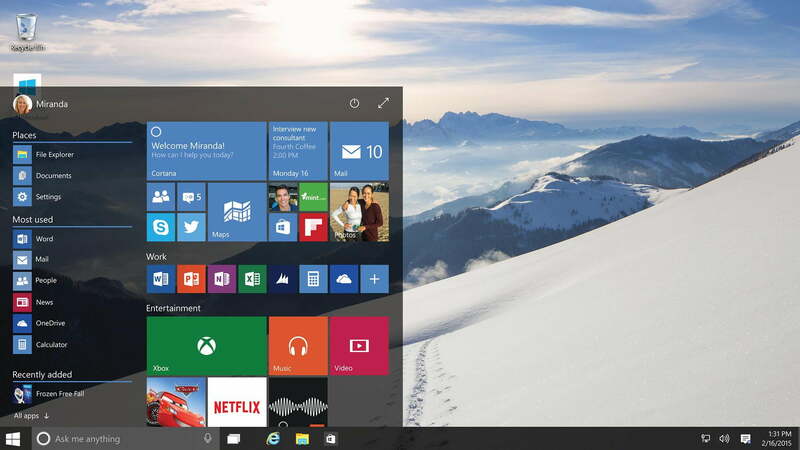 Windows 10 is almost here. Microsoft’s new operating system is scheduled to be released on July 29th 2015. We are currently testing the developer's version of Windows 10 to verify its compatibility with our systems. We will also test the official release when it becomes available and we will make sure it doesn't prohibit you from doing your work. To minimize potential problems, we are disabling the offer from Microsoft to upgrade to Windows 10 on CSU computers. If you see a notification or icon in your system tray offering a free upgrade to the new Windows 10 operating system, please do not upgrade. You may jeopardize your system stability. We strongly suggest you delay updating to Windows 10 until we verify that all of our software is compatible with this version of Windows. Did you already upgrade to Windows 10 and need to go back? While we do not anticipate data loss, rolling your system back is a time consuming process. A full back up of your data must be performed prior to reinstalling the operating system, programs, and migrating your data back onto your computer. You will need to reinstall your version of Windows from the recovery or installation media that came with your computer.